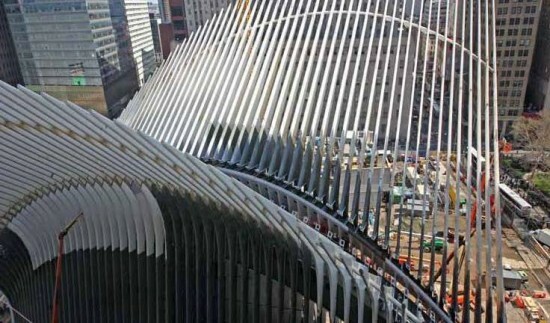 After all these years (read: delays), the public will finally be able to check out the grand oculus in Santiago Calatrava‘s $3.9 billion World Trade Center Transportation Hub—starting next month. 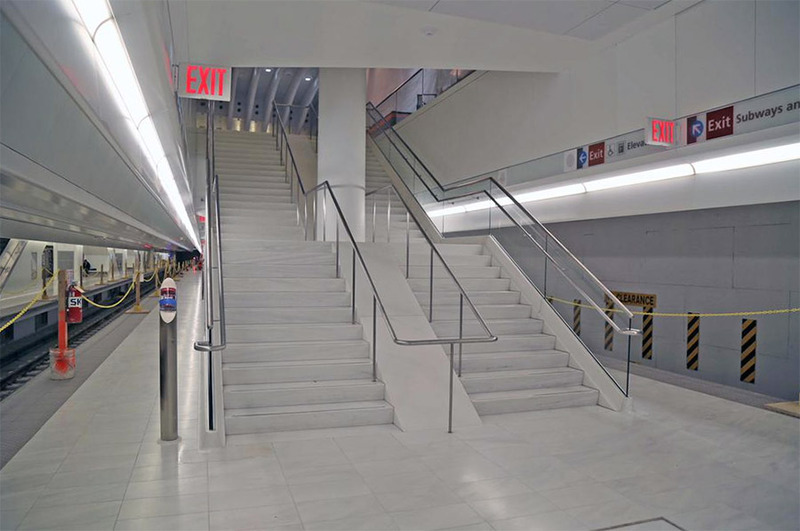 The New York Times reported that beginning in June, a north-south passageway with direct views onto the building’s main attraction will open to “limited pedestrian traffic.” The entire building won’t fully open until the end of this year, or early next year so don’t get too excited. And you can always walk through an already open portion of the Calatrava station connecting to the Brookfield Place towers. 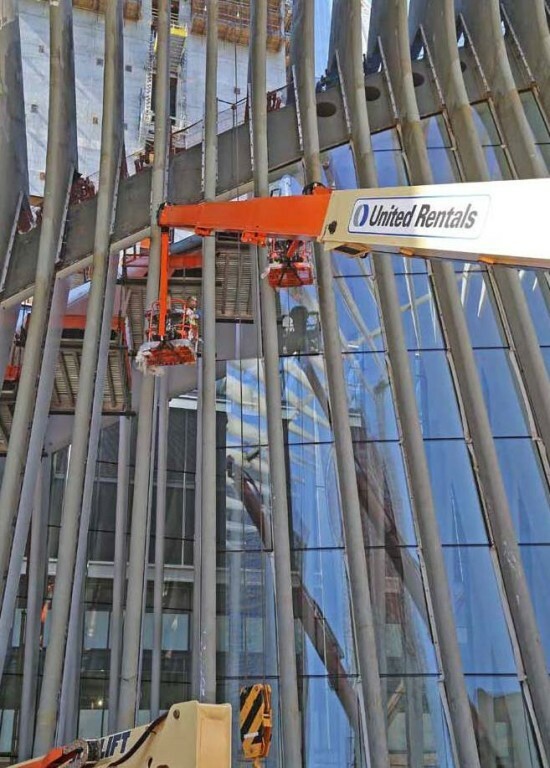 The Times also noted that the World Trade Center redevelopment is set to check off milestone after milestone over the next few weeks and months. 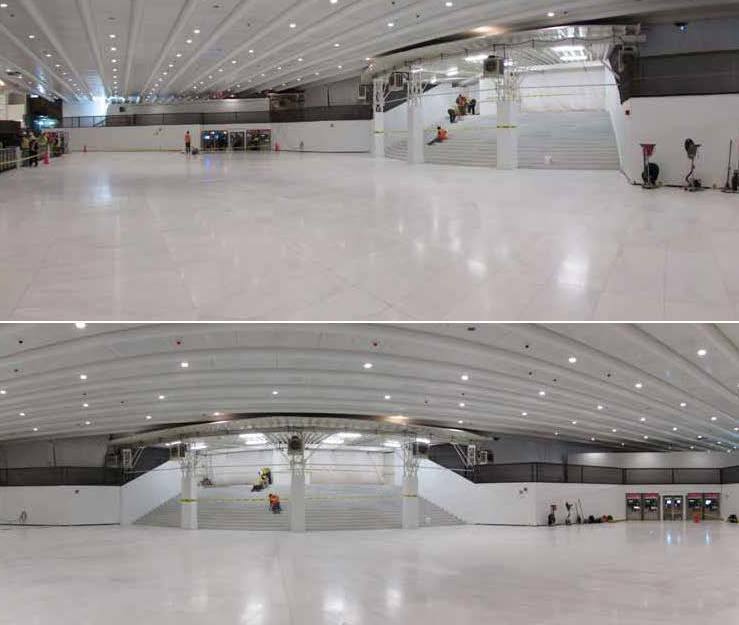 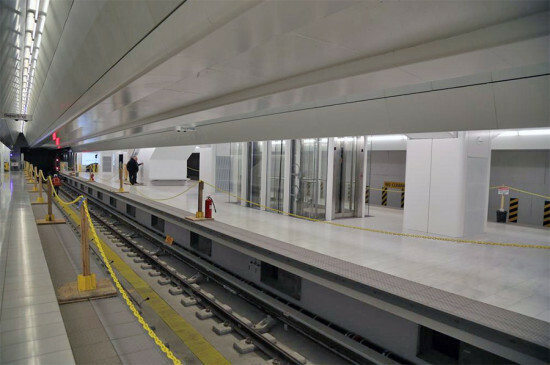 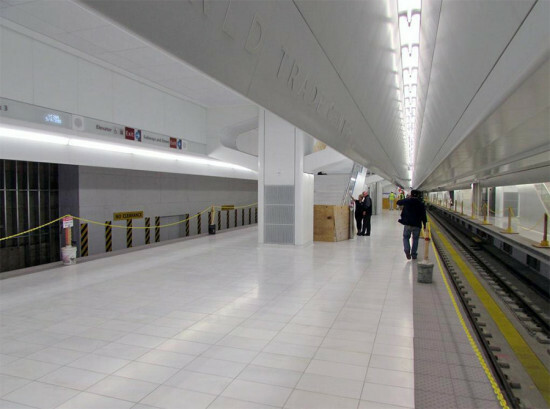 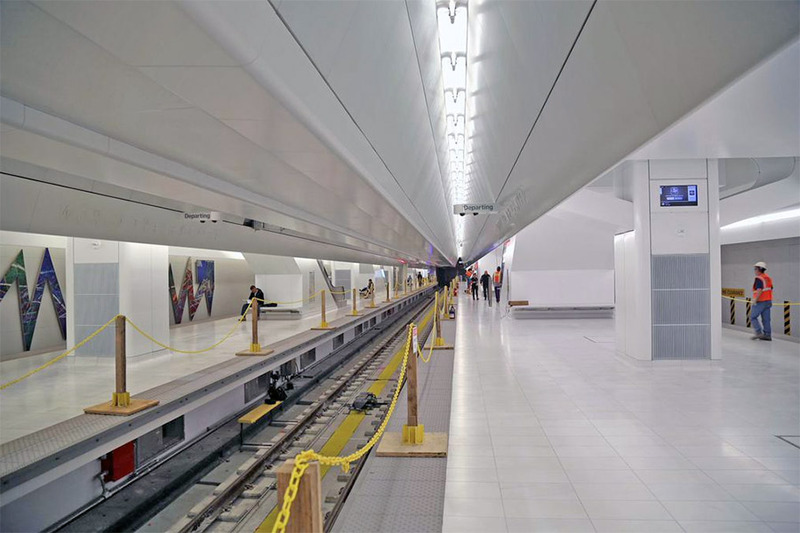 —The second of four PATH platforms in the Transportation Hub will open on Thursday. —Soon after that, a floor-to-ceiling barrier will come down as well. This will allow commuters to marvel at the immaculate space set beneath those already-iconic soaring white ribs, or wings, or spikes, or whatever you want to call them. —And on May 29th, the One World Trade Center Observatory will open, offering panoramic views to anyone willing to shell out $32 a ticket. As for 2 World Trade Center, well, we’re still waiting to hear if Norman Foster’s design will be replaced with something from Bjarke Ingels.